Established in 1836, Lockport played a significant part in the success and establishment of Chicago. Join us in celebrating our great City of Lockport! 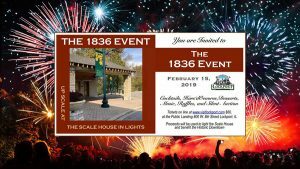 We are pleased to announce Main Street Lockport’s 28th annual 1836 Event, to be held on February 15, 2019. 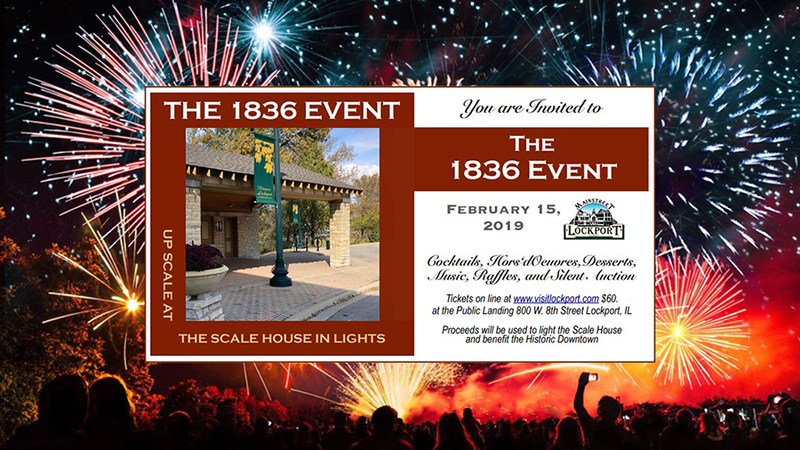 The 1836 Event is Main Street Lockport’s biggest fundraising event, named after the year of our City’s establishment, and to benefit the Lockport community. This year’s event will include special guests, silent auction, raffles, live music, the Main Street Wall of Wine, and VIP access to Gallery 7. Proceeds will fund a project to “upscale the historic Scale House”. The building, outside of the historic Norton Building, was a warehouse in the 1800s when Lockport was an important stop along the waterway. Originally used as a scale house until the 1940s, and later used as office space for a steel fabrication company. The scale house was vacated in the 1980s, after which the City raised funds for a partial rehab of the building. This year, in cooperation with the City of Lockport, Main Street Lockport is planning to improve the facilities, add security lighting, and revive it as a viable space for our City’s community and visitors. Your involvement will help ensure this mission as well as enhance the historic building and increase enjoyment of our downtown.